In the beginning of 2016, I made a hasty decision of attending an event I knew nothing about. Diplomantiq's CHIMICHE NIGHT has been a huge part of my emotional growth in 2016. Our last chimche night of the year was outdoors, and we reflected on the progress and the decisions we made through out the year. I realized that fear can indeed be a valid (yet odd) way to motivate myself. I got to know incredibly talented and smart people through this monthly get-together, and hope this circle grows next year. After the session, we had an impromptu Diplomantiq podcast recording, where Amna and I talked about Jaffat El Aqlam outdoors before heading home. Thank you for being an incredible human being, Mustafa. Looking forward to Diplomantiq2K17. I've been researching screen printing for quite some time now because it felt like a technique I needed to get into as soon as possible. I was thrilled that warehouse421 organized this event with 'theworkshopdxb' because it was effortlessly my favorite workshop this year. 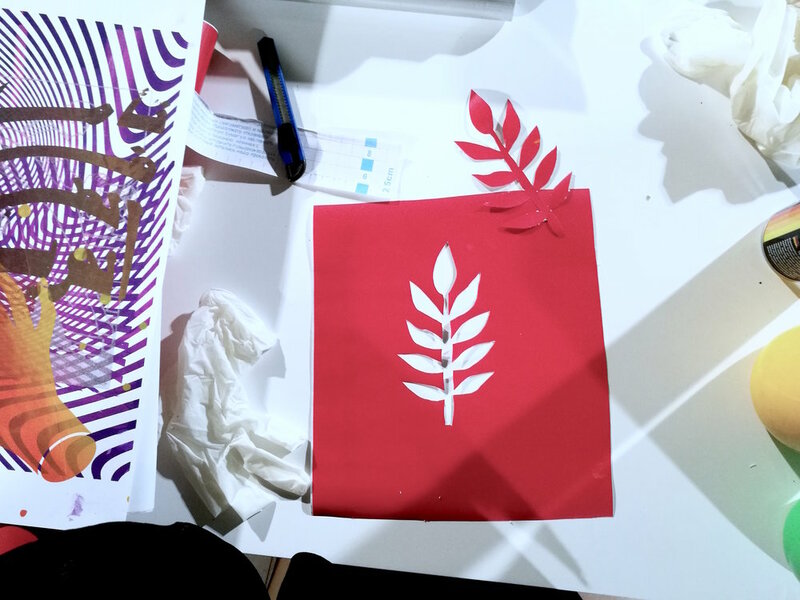 We got to do our own screen printed posters and a tote. We were encouraged to mix colors and experiment to our hearts' content. Can't wait to set up my screen printing workstation to start on new projects! The workshopdxb team were very nice and incredibly passionate about what they do. Definitely stay on the look out for their live stations! I've been conducting workshops for 2 years now, and they're usually in events for kids. We train a week before, and just go for it on events' days. 2016 officially marks the year I gathered confidence to conduct my first zines' making workshop and hopefully many more to come. Couldn't have asked for a more perfect emirate and location to this. A huge thank you to Hessa Al Ajmani for this unforgettable opportunity and all the brilliant participants for a wonderful time.